Which Allergy Medicine Should You Use? Buffalonians know that the pollen count in Western New York is particularly high. When your symptoms are particularly bad, you can use over-the-counter antihistamines to keep the sniffles in check. Today, we’re going to review Zyrtec and Claritin–both non-prescription allergy medicine—to see how they compare, once and for all. Will This Allergy Medicine Make Me Tired? Both Zyrtec and Claritin are known as second-generation antihistamines, which means that they are less likely to cross the barrier between the blood and your brain. So, they don’t usually affect your nervous system as severely. That being said, most patients find that Zyrtec is far more likely to induce drowsiness than Claritin is. So, if you plan to take antihistamines to help you sleep, then consider Zyrtec. Claritin can help clear your sinuses during the day without affecting your concentration. How Quickly Will the Allergy Medicine Take Effect? Whether you’re taking Claritin or Zyrtec, you only need to take one pill because the effects should last for a full 24 hours. Both of them absorb quickly. 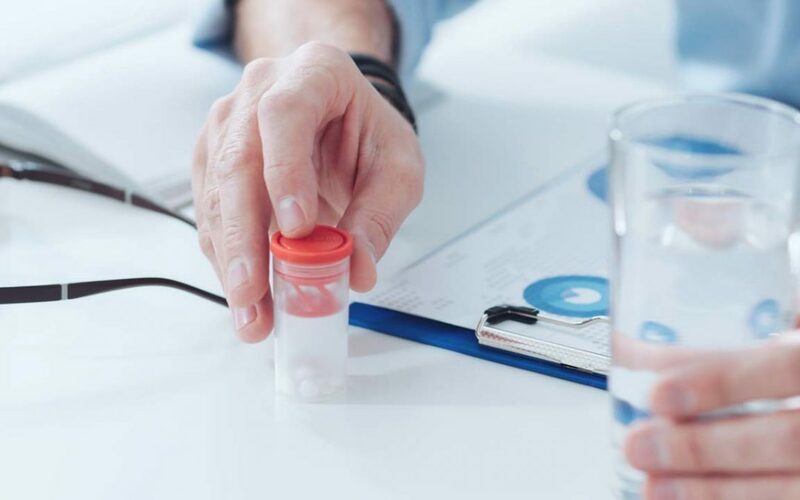 However, many patients report that Zyrtec will absorb in as quickly as one hour while it often takes Claritin two to three hours to really take effect. Which Allergy Medicine Has Fewer Side Effects? Allergy medicine, like all medicine, comes with a few potential negative side effects. With both Zyrtec and Claritin, you might experience headache, dizziness, sore throat, dry mouth, constipation, diarrhea, abdominal cramps, and eye redness. That all being said, both of them are considered very safe and effective for anyone in Buffalo, NY struggling with environmental allergies. Claritin does, though, tend to interact with other drugs. Because Claritin is broken down in the liver, the enzymes that help to digest it are sometimes blocked by other medications and build up inside the organ, which can worsen side effects. Make sure to speak to your physician about taking antihistamines if you’re already on other medications. Alternatively, you might want to consider immunology or natural solutions to allergy symptoms if you find that allergy medicine isn’t right for you. Both Claritin and Zyrtec will clear your symptoms and help you breathe more easily during allergy season. There are slight differences between them that you should consider when choosing one over the other, but for all intents and purposes, the differences are marginal. Sometimes allergies come on suddenly, but at other times, symptoms appear more gradually. It can be hard to tell the difference between simple stomach aches and an allergic reaction. Thankfully, there are some tell-tale signs that should clue you off. If you’re looking for food allergy testing in Buffalo, NY, take a step back and first see whether you really need it or not. What You Need to Know About Your ENT and Allergies Before Spring | If you’ve been living with an allergy, you know how it can seriously impact your everyday life. Your local ENT and allergies specialist will be able to run tests to better identify your allergens and explain to you how best to avoid your triggers and live a more stress-free summer. We love Dr. Paul Young for his kindness, compassion, and medical insight. Here’s why we think he is one of the top ENT doctors in Buffalo, NY. | After receiving his M.D. from the State University of New York at Buffalo, Dr. Paul Young went on to become the clinical associate professor of ENT in UB’s medical school and the director of otolaryngology at Millard Fillmore Suburban Hospital. Most people in Buffalo, NY assume they have allergy headaches when they actually have migraines, which means they are probably not treating the pain correctly. Don’t Let Vertigo Stop Your Life! People who suffer with vertigo often feel like they have to function in a constant state of caution, not able to enjoy their day-to-day experiences with a carefree zest or confident pep in their step. They never know when they’ll be struck by a dizzy spell and this can cause them to go through life with overwhelming trepidation. The inner ear is a critical part of our system’s balance and when it doesn’t receive enough blood flow, our primary command center (the brain) triggers warning signals via impaired vision, dizziness and vomiting. The condition known as vertigo is quite serious and can be a sign of poor circulation, high blood pressure or high cholesterol levels, and even hardened arteries. Winter’s here again in Buffalo, NY, and that means that it’s cold and flu season. Unfortunately, it can sometimes be difficult to tell whether a bout of the sniffles means you’re suffering from your regular allergies or if you’ve finally caught that cold that’s been going around. However, if you don’t know which is which, you might end up taking the wrong treatment or over-medicating.